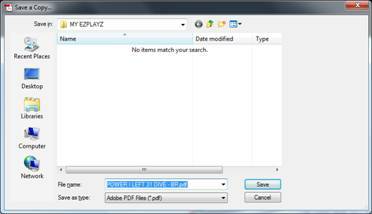 Using EZPLAYZ is as simple as opening a PDF file. 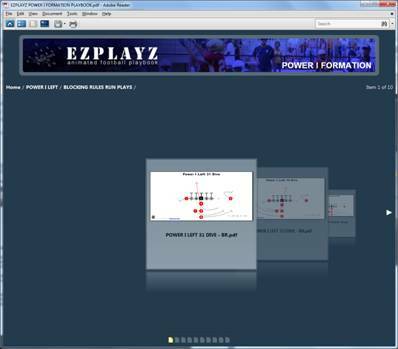 EZPLAYZ formations are saved in PDF portfolios which allow you to easily navigate through the entire formation. EZPLAYZ does require a minimum of Adobe Acrobat Reader 9.0 so, if needed, you can download a free version of Acrobat 9.0 at http://get.adobe.com/reader/ . 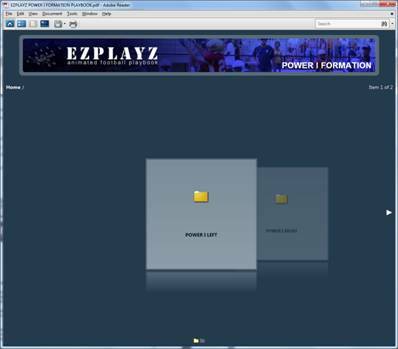 After downloading and saving your EZPLAYZ Playbook to your computer, open it and click the “Get Started” button to access the plays. Please note that by clicking the “Get Started” button, you agree to the End-User License Agreement and are bound by the terms and conditions contained therein. All EZPAYZ Plays are stored within the PDF file and are easy to navigate with rotating folder views. Click on the formation folder you want and open that formation. Now you can easily browse through the plays and select the one you want to view. Click the play you wish to view and it will open up in a new window. We suggest you create a folder on your computer(s) entitled “MY EZPLAYZ” as a location to save the plays you want to include in your teams playbook. 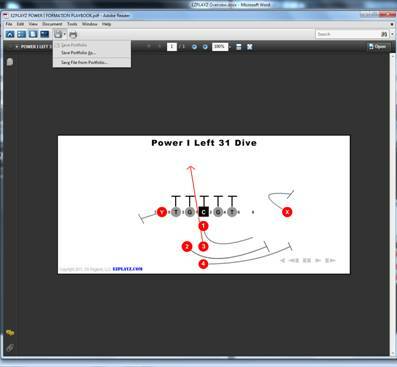 From here you can easily e-mail and share the saved plays with your team. 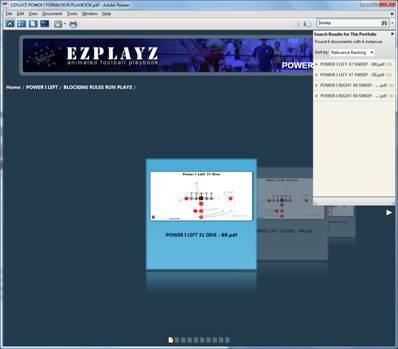 EZPLAYZ Playbooks have the great feature of searching for plays in the portfolio. Simply type in a search term (e.g. “Sweep”) and a toolbar will pop-up on the right hand side with the results. You can then click the result you want to see and it will bring you to that play. EZPLAYZ is EZ to Use, EZ to Share and EZ to Win. 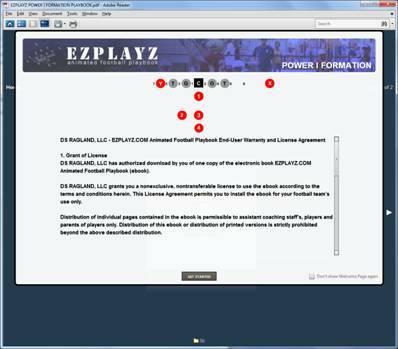 EZPLAYZ is authorized to be used on two (2) separate computers and the sharing of plays is limited to one team’s coaching staff, players and the parents of players. Distribution of any kind beyond the team is strictly prohibited. Blocking rules are your rules that you want your kids to follow. Whether GOOLS (Gap-On-Outside-Linebacker-Safety) or some other standard blocking scheme or even your own, our Blocking Rules play format allows you a great deal of flexibility.